Almost like a time traveler sent 10 years too far back in time before an important event, I’ve been waiting for July 14th, 2015 for a long time. Ever since the New Horizons space probe was launched from Cape Canaveral, way back on January 19, 2006, I knew this day would get here eventually. It just seemed like our little space probe was taking its sweet time. Nine and a half years is a long time to wait to see a new world – a world never before seen up close and personal. In actuality, New Horizons was doing anything but taking its time. It has been speeding towards its destination at over 36,000 miles/hour! It passed earths moon in a mere 9 hours. It happens to be the fastest man made object ever. It’s just that it had a very long way to go to reach its destination. Today New Horizons will make its closest encounter with Pluto, and almost certainly will increase our knowledge and understanding, not just of Pluto and its entourage of little moons, but of the origins and history of our solar system. 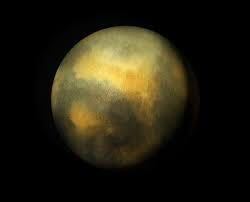 Pluto was only discovered as recently as 1930 by Clyde Tombaugh at the Lowell Observatory. Even from the beginning it seemed a little odd in comparisons to the other planets. It takes about 247 years to orbit the sun and has a very eccentric orbit with its closest point in orbit at 2.7 billion miles from the sun (and inside the orbit of Neptune), and its farthest point in orbit being around 4.5 billion miles away from the sun. It has five known moons, but the largest is Charon, which has a diameter that is more than half as big as the diameter of Pluto itself. No other planet has a moon so close to its own size. For that reason, many planetary scientists consider the Pluto/Charon system a binary system. Today’s post will go live on Tuesday instead of the usual Darwin’s Kidneys Original Wednesday (sorry Atomic Tuesday) to coincide with this historic occasion. In this post I’m not going to write about the New Horizons discoveries, or much about the mission itself. I’m not even going to write about whether Pluto should be classified as a planet or not. I don’t really care that Pluto got “demoted” to dwarf planet because no matter what we label it, Pluto is a fascinating object with a history as old as our solar system. 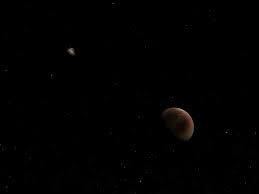 Instead this article will focus mostly on why we should be interested in a tiny, human made hunk of electronics, computer chips, and metal, speeding to the edge of the solar system to photograph and measure a dark, frozen, ancient celestial body whose chance of harboring life is somewhere between zero and not bloody likely. Why should we, as a society, spend money and resources to design, build, and launch this thing that may not even make it all the way there intact. We are a species of explorers. Our ancestors traveled the globe and colonized nearly every part of it. We are no strangers to taking risk, and thinking big when it comes to wondering what’s over the next hill or beyond the distant horizon. Human consciousness first awakened on this planet on the continent of Africa, and from there spread to all corners of the world, from stone age Europe and Asia, and over the frozen Bering Straits of the last Ice Age, into North and South America. Early humans even sailed across the forbidding oceans to Australia and the Pacific islands. We have adventure in our blood. Pluto the most distant target that we have tried, so far, to reach out and touch. Not a journey that humans, with laughably fragile bodies susceptible to harm from radiation and microgravity, and entirely too needy for food, oxygen, warmth, and even companionship, can make anytime soon. Instead we send our stoic little robot ambassador out on a entirely peaceful mission of scientific discovery. It represents the best part of humanity with no thought whatsoever to invasion, conquest, or exploitation of new territory for gain or profit. It represents what’s best in us – our childlike curiosity, enthusiasm for discovery, and sense of awe at living in a universe that is so much bigger than our everyday concerns. Going to Pluto inspires us to be great by doing great things. It is no trivial task to design, build, and implement a machine to do what New Horizons is doing right now. That’s, of course, why it has never been done before. The accuracy necessary for the mission to reach its target, and the durability of its components to remain functional after 9 years in the cold vacuum of space, are a triumph of human engineering and understanding of Newtonian mechanics. The challenge of the mission elevates us up onto a more noble plane. Teams of individuals made the mission possible, but also the millions of taxpayers that contributed to a successful human achievement, are all part of the process that show we as a society care about things beyond the mundane and everyday. We are all apart of the mission, and we all have a right to see what New Horizons can tell us about the edge of our cosmic neighborhood block. Going to Pluto also inspires curiosity in the unknown. From earth, even from the Hubble Space Telescope, Pluto is not much more than a dim dot in the night sky. We want to know, what is it like on Pluto? Why is it so different than the planets like the Earth, Mars, Jupiter, and so on? What is it made of and why is its orbit around the sun so unusual? Does it hold clues to the formation of the solar system and the planets? Could it hold clues to the origins of life’s chemical building blocks that lead to our own origins on earth? We humans really want to know the answers to things. When we have a real mystery it inspires a lot of careful thinking, formulation of hypotheses, and ideas about how to test those hypotheses. Being curious is one of our most outstanding traits as a species. Far from the old adage “curiosity killed the cat” in reality, curiosity is how we learn who we are, where we come from, and what our place in the universe really is. “Curiosity killed the cat” is meant to keep us afraid and in the dark. Curiosity keeps us moving forward, but the spirit of curiosity is easily doused by others who are perfectly satisfied by not knowing and who have long ago lost their curiosity. We need to keep that spark of curiosity alive. Not only is a mission like New Horizons the scratch to satisfy the itch of our innate curiosity, but it inspires new levels of curiosity in those sharing in the discoveries, and in the imaginations of young people who then begin thinking about what is next out there to explore. There are also the unforeseen consequences from a mission like New Horizons. It is not why these missions are undertaken, but we have reaped the benefits of the collateral developments (the opposite of collateral damage) of basic science research before. From the World Wide Web developed by theoretical physicists at CERN, to advances in computer and laser technology, basic science research has provided benefits to society at large that were never predicted or expected. When Nobel prize winning physicist, Edward Purcell was asked what practical applications his discovery of nuclear magnetic resonance in bulk matter could ever be used for, which he developed to better understand the quantum transition of hydrogen atoms from one energy state to another, his answer was, “I can see no practical applications”. It turned out that this discovery changed modern life giving us Magnetic Resonance Imaging (MRI) in medicine to peer into the living body in exquisite detail, as well as transforming the field of chemistry with Nuclear Magnetic Resonance (NMR) which has revolutionized our understanding of molecular structure and material science. The truth is that we don’t always know what the final impact of fundamental research may be for our everyday lives. The knowledge we gain from studying Pluto might help us better understand the threat of comets and asteroids to life on planet earth, and perhaps aid in our survival as a species. The most likely benefit will be ones we don’t see coming at all. There are also economic gains that programs, such as the space program provide to our country, as far as more jobs, and it signals to the world our national strengths and that intellectual endeavors are an important priority. Being a leader in science and space exploration is no small thing in the eyes of the rest of the world. Missions like New Horizons remind us that we live in a much bigger universe than we are used to thinking about. On a day to day basis, it’s easy to focus on the minor details, to think your little neighborhood is all there is. We don’t look up at the night sky and observe the stars very often- not nearly enough. Going to Pluto forces us to think about our place in the cosmos. The solar system is big and the planets are far away. How much bigger is our galaxy than the solar system, and what about the billions of distant galaxies? We are not just in the universe, the universe is in us. We are a part of the universe and it’s good to be reminded of that from time to time. I’ve waited a long time for today. 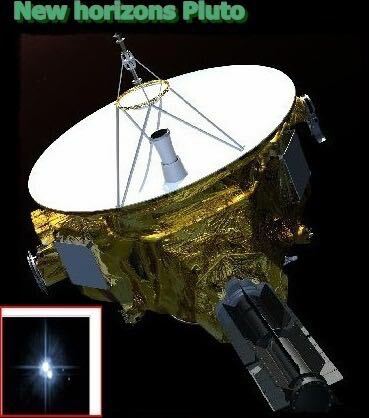 I don’t know what pictures and information will be sent back to earth by our little robotic probe as it speeds past Pluto, but I know it will be amazing. Just to know that something of earth is out there, so far from home and continuing its flight outward into the galaxy, is pretty cool in itself. And once New Horizons leaves Pluto behind, there will continue to be new and exciting discoveries to anticipate, some from future robotic space missions, others from telescopic observatories examining the universes largest structures, and still others from basic science research facilities like CERN examining the universes smallest components and fundamental forces. We will continue to have a lot to learn and look forward to so long as we as a society continue to decide that the nobel pursuit of new knowledge is a goal worth achieving. For today, I just want to say, “Hello Pluto, it’s great to finally meet you”. 1. NASA New Horizons website. 4. Pluto Safari is a cool app you can down load on your tablet from iTunes. Previous article	← Mutation Monday: OxoG is how radiation turns your own water against you! I like your article. Puts this milestone into perspective. Thank you. Thanks huyked, I'm glad you liked the article. Are there any particular science topics that you're interested in or would like to learn more about? Many thanks Rich for your very thought provoking article. While reading I imagined being with the craft drifting slowly by Pluto and Charon while listening to 'The Swan of Tuonela' by Sibelius. Entirely in keeping. Try it. Thanks, warbux. I listened to “The Swan of Tuonela” on Youtube. Very nice and seems quite appropriate for the serene flyby of New Horizons past Pluto. Your article is brilliant! I love the way you explained how science can come to the aid of humanity in ways that no one expected. Many people don’t get this even though there are so many examples out there. Thank you! Thanks for the positive feedback. Glad you enjoyed the article.